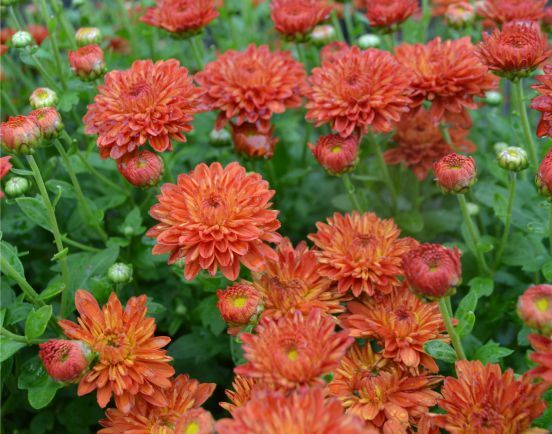 With the unusually long heat wave this late in the summer, Chrysanthemum bloom is delayed even more as cool nights in addition to shorter days are necessary to open the flower buds. 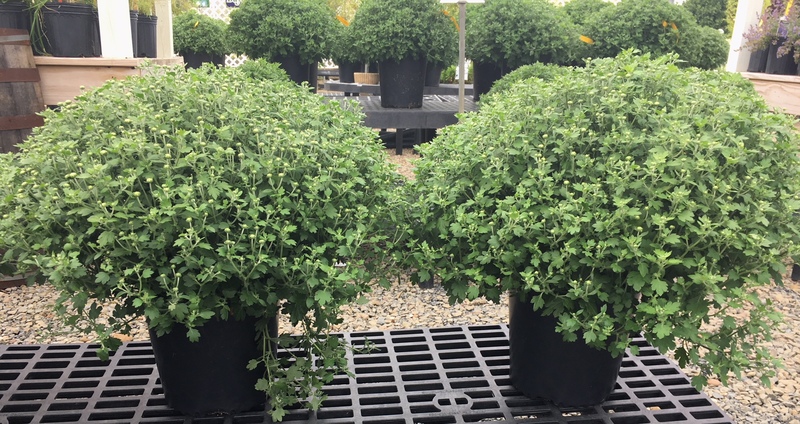 Hand watering of newly planted trees, shrubs and perennials is essential as the extreme heat causes rapid transpiration of water from the leaves that can damage or even kill a plant that has inadequate water in its soil root ball. The key statement is “soil root ball” as the plant cannot pick up water from even very moist soil surrounding the root ball until the roots are grown into that soil. Sprinklers or even soaker hoses sometimes are not enough to hydrate the root ball and surrounding moist soil sometimes can fool the most experienced gardeners as far as necessary watering is concerned. As I have stated many times, evergreens do not show water needs until it is too late as the hardened off new growth does not wilt as in other deciduous plants that are more obvious when water stressed. Normally, one inch of rainfall or more in a 24 hour period will negate the need for a watering although it may not be enough in the case of high heat as has been in the past week. Seiberling corn for the market has been ripening rapidly with the heat which for now translate into adequate supply although the longevity of that supply will be at short. Today with cooler temperatures, things should get back to normal and the mum season will progress.